These pages include the complete tables of contents for all our issues. The issues are arranged in reverse chronology. Back issues of available newsletters may be purchased for US$7 each ($10 outside fo the US and Canada). Back issues of the Eudora Welty Review are US$10 each ($20 outside of the US and Canada). Please use the subscription order form. It’s no secret that southern author Eudora Welty was an adamant believer in mystery. In so many of her fictions and photographs, Welty’s genius relies heavily on the puzzling detail, the withholding plot, the cryptic conclusion, and the opaque mystery at the heart of her characters’ motivations. It is less known, however, how often in these puzzling stories Welty engages with the mystery genre. A prolific reader and moviegoer, Welty was an enthusiastic fan of crime and detective fiction, and consequently, from her Depression-era collection A Curtain of Green (1941) through her Civil Rights stories (1960s) and late-life manuscripts, many of her fictions in unexpected ways touch the topics of murder, mystery, and mayhem, of criminal psychology, detective work, policing, and/or justice. Not coincidentally, the most productive period of Welty’s career (approximately from 1941 to 1955) coincides with the “classic” film noir phase in Hollywood cinema. 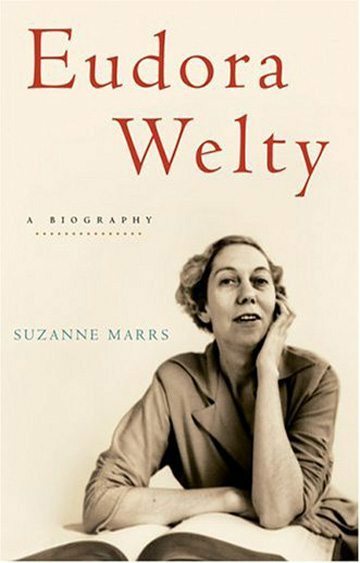 Then in her late life, Welty shared a literary relationship and epistolary intimacy with crime writer Ross Macdonald (aka Kenneth Millar). Yet the full mystery of Eudora Welty’s genre work is still something to be uncovered. This collection aims to follow the clues in Eudora Welty’s fiction, photography, juvenilia, non-fiction, correspondence, and biography to discover the ways in which Welty worked within, against, and beyond mystery and detective fiction. How do Eudora Welty’s signature talents as a southern modernist, a woman writer, a comedic eye, and an innovative genre revisionist take on the American crime genre?